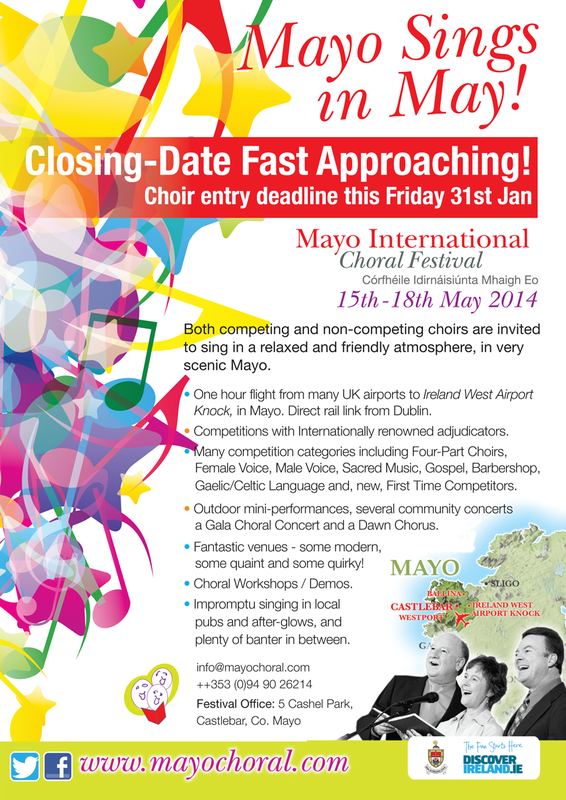 Choir entries already in from across the globe - we would love to meet your choir in Mayo, Ireland. Last chance this week to enter. See you in Mayo in May.